The McLaren MP4-12C is being presented to the motoring media today. Full specs and details, as well as plenty of pictures, are now available. McLaren has revealed the MP4-12C supercar to the media today and we have a lot of the official details. The two-seat MP4-12C has a 3.8-litre twin turbo petrol engine developed in collaboration with Ricardo. Maximum power output is a blazing 447 kW (600 bhp / 608 PS) developed at 7,000 rpm. The engine can rev all the way up to a dizzy 8,500 rpm. 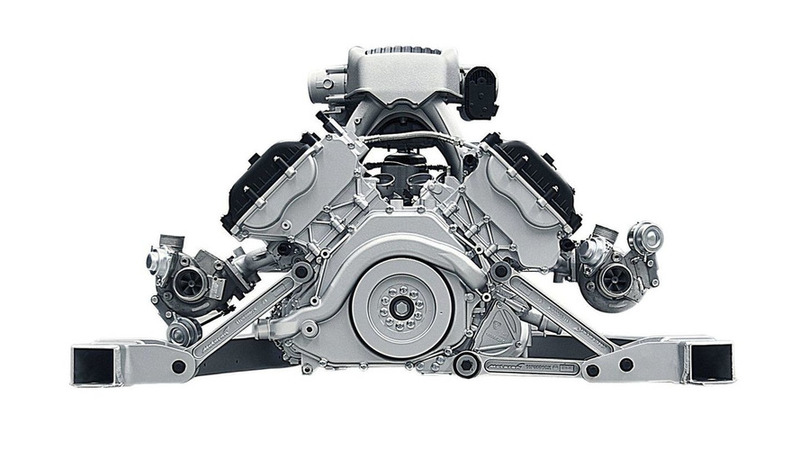 Its peak torque rivals some of the most powerful turbo diesels out there at 599 Nm (442 lb-ft) from 3,000 rpm. Apparently 479 Nm (353 lb-ft) of that is already available from 2,000 rpm. Performance figures are not available yet but expect 0 - 100 km/h figures in the very low 3s and a top speed well over 300 km/h (186 mph). Torque goes to the rear axle through a 7-speed double clutch gearbox prompted by F1-style aluminium rockers situated behind the steering wheel. It offers a choice of Normal, Sport and Track driving modes. There's also two configurations namely H and P. H refers to handling and changes things like steering weight, suspension stiffness and stability control. Choosing P mode alters throttle response, gearshift times and engine sounds. Because the car is so compact (4507mm long, 1908mm wide, 1199mm high and with a wheelbase of 2670mm) and thanks to a carbon composite monocoque, plus a claimed dry weight of less than 1,300kg (2,866 lbs), certain advantages are there for the taking. The main one is of course better performance, but there is also the small matter of C02 emissions. McLaren Automotive reports a figure of under 300g/km, significantly lower than its key rivals, the Ferrari 458 Italia and the Mercedes-Benz SLS AMG. Inside the latest gadgets and goodies can be found, including a 7-inch touch screen and Wi-Fi connectivity.